There seems to be slight difference(s) in the registration process of the 2017 JAMB examination and that of 2018. From personal observation, these differences will tackle the stress issue experienced by candidates who sat for the 2017 Unified Tertiary Matriculation Examination (UTME). Kudos to JAMB's Registrar, Prof Is-haq O. Oloyede, for these innovative ideas. If you wish to sit for the 2018 JAMB examination, these are all you need to know about the examination. You can bookmark this page or download our android app for updates on this. The period of sale/registration for all candidates (UTME / DE) including those from Foreign Countries is from 6th December, 2017 to 6th February, 2018. Registration fee is five thousand naira(N5,000) only. Additional five hundred naira (N500) only is paid to obtain the reading text, IN DEPENDENCE for UTME Candidates and The Last Days at Forcados High School for DE Candidates and $20 for Candidates from the eight foreign centres. You will also be charged the sum of seven hundred naira (N700) only for your registration at any of the accredited CBT registration centres, making a total sum of six thousand, two hundred naira (N6,200). The 2018 CBT examination will commence on Friday 9th March and end on 17th March, 2018. The venue of the examination will be at any centre in the candidate's chosen examination town(s). Note: JAMB does not post any candidate to any examination town (or group of towns) other than the one chosen by the candidate at the point of registration. Candidates are, however, advised to register on time before the available spaces in their town of choice or group of towns are exhausted and therefore no longer available. As was done last year, the Board will also conduct a mock examination in all the accredited CBT centres to prepare and familiarise INTERESTED Candidates with the CBT environment. Interested candidates are advised to indicate their interest in the mock examination during registration provided it is on or before 31st December, 2017. The MOCK examination shall commence from Monday 22nd to Wednesday 24th January, 2018. The CBT Centres are allowed to collect, through their bank accounts, a separate Seven Hundred Naira (N700) only, for this exercise from only interested candidate after notification of centre has been received by the candidate. Note: Do not pay for mock until jamb assigns you to a cbt centre. no one should patronise fraudsters, many of whom are now in custody for defrauding prospective candidates. only jamb accredited cbt centres can do valid registration and serve as examination centres. i. A minimum of O'Level credit pass in five (5) subjects at not more than two sittings with at least two prescribed subjects (for each discipline) at Principal or Advanced level. No subject shall be counted twice at both Ordinary and Advanced Level. ii. Two passes (in prescribed subjects for each discipline) at the Advanced-Level Examination of IJMB, Cambridge, JUPEB or Institute of Baccalaureate with SSCE/GCE, NTS/NBC credits equivalents in three other subjects. iii. Passes in two major subjects in the NCE with S.S.C.E., NTC/NBC credits or equivalents in THREE other subjects (mainly for Education Courses) and ND. For Education courses, Education may be accepted as a third A' Level subject. iv. Minimum of lower credit grade in National Diploma or National Innovation Diploma and the O'Level requirements. DE candidates will be required to provide their jamb registration numbers with which they gained admission to NCE/NID/DIPLOMA and previous degree programmes. Qualifications awarded by examination bodies (IJMB, CAMBRIDGE, WAEC, JUPEB, etc.) 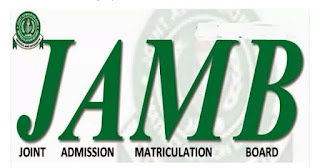 approved by nigeria shall not require any prior JAMB number. 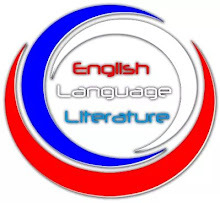 For the Use of English examination, UTME candidates are expected to read IN DEPENDENCE by Sarah Ladipo Manyika while Direct Entry candidates are to read THE LAST DAYS AT FORCADOS HIGH SCHOOL by A.H. Mohammed. Comprehensive summary of JAMB's novel, IN DEPENDENCE. i. Pay NOT more than N700 as Service Charge to the CBT Centre. ii. Provide Biodata including Date of Birth, Nationality, State of Origin, Local Government, Gender, e-mail address, among others. iii. Provide choice of Institutions and Programmes (Disciplines). iv. Provide qualification with grades and dates if not awaiting result. v. Upload relevant certificates, if not awaiting result. vi. O/L and or A/L grades are to be provided by candidates. Candidates who are awaiting results should supply the results online as soon as they are available on JAMB's portal. No recommendations from any Institution will be considered by JAMB if the candidate has not supplied his/her result on the portal of JAMB. Examination for UTME (actual examination). xii. Print Registration Slip using biometric authentication. xiv. Collect e-slip at the end of registration as evidence of registration. 7. HOW DO I REGISTER FOR THE 2018 JAMB EXAMINATION? Below are the step-by-step procedures for the 2018 JAMB examination. 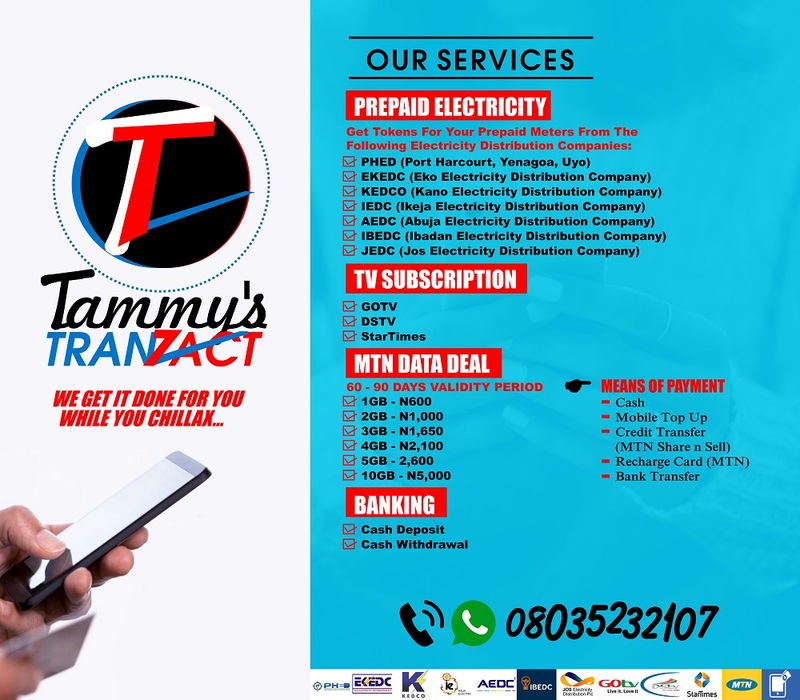 The profile registration is as simple as sending a text to JAMB Short Code 55019 from any of the Mobile Phone Networks. To register your profile, send your name in this order: surname, first name and middle name (if any) as text (SMS) to 55019. For example, Tammy Isaac Reuben. Surname and First Name are mandatory while Middle Name is optional. Name could be maximum of 38 characters + 2 spaces between names = 40 characters. After you've done that, a profile code of 10 characters will be sent to the telephone number you used in sending the message. Note: The Cell phone number used for the text message is automatically tied to your name and will be used in all communications related to your 2018 Application/Examination. Send (CORRECT Surname First-Name Middle-Name) to 55019 as a text message from your mobile number used for Profile Registration. Send RESEND to 55019 as text message from the same mobile number. STEP 2: PROCUREMENT OF EPIN. After successfully registering your profile, you procure the 2018 JAMB ePin that will enable you register for the examination. WHERE CAN I PROCURE THE 2018 JAMB ePIN? NIPOST and eleven Participating Banks (ACCESS, ECOBANK, FIRSTBANK, FCMB, FIDELITY, JAIZ, SKYE, STERLING, UNION, UNITY and ZENITH). Four Mobile Money Operators: Paga, e-Tranzact (PocketMoni), TEASYPay and Packway. Two participating Micro Finance Banks: FUD MFB (Dutse) and Regent MFB (Abuja). Two online Payment Platforms: SystemSpecs (Remita) and InterSwitch (Quickteller). POS (Citi-Serve) - This is available at State Offices of JAMB + CBT Centres, other POS outlets and any CBT Centre that demands it. ATMs of banks listed above (InterSwitch). USSD (NIBSS & ERCAS) for mobile banking. If you want to pay using this method, you have to visit any of the designated banks for the 2018 JAMB registration. Once you get there, you will be requested to present Profile Code and pay by cash or ATM card (with the use of POS). Your ePIN is then delivered to your unique telephone number. Slot your ATM card into the ATM of any of the aforementioned banks. Enter Profile Code and make payment. After a successful transaction, your ePIN is then delivered to your telephone number. Your ePIN is then delivered to your unique telephone number. Select bank and follow the prompts to complete payment. Your ePIN is then delivered to the candidate's unique telephone number. Registration fee for candidates from the eight foreign countries is $20 or its equivalent in each of the eight countries. 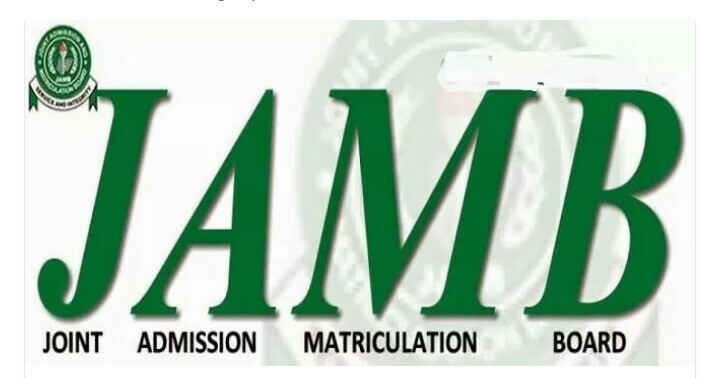 Candidates from the eight foreign countries are to download the Application form from the Board's website (www.jamb.gov.ng) complete and submit it with the fee at the their designated centres as indicated on the website. How do I recover my lost ePIN after payment? Send UTMEPIN or DEPIN to 55019 for UTME orDE respectively from your unique telephone number. The ePIN would then be retrieved and delivered on your unique number. 1. All candidates must mandatorily register their profiles through text messages as illustrated above before proceeding to buy the ePIN. 3. As it is the practice, centres are allowed to charge not more than Seven Hundred Naira (N700) only as registration fee. Any centre that charges more than Seven Hundred Naira should be reported to JAMB for appropriate sanctions. 4. All CBT centres have been mandated to select any of the participating banks, MMOs, MFBs, etc. These financial institutions are to be present at the CBT centres for the purpose of collecting all fees. No CBT centre staff is allowed to conduct direct cash transaction with the candidates. 5. Candidates are advised to read and understand the guidelines on admission and instructions on how to complete the online registration before commencing the process of registration. 6. Multiple registrations are not allowed. Candidates who register more than once will be identified and disqualified. 7. Candidates should note that they are required to be present and take live photograph which will be embossed on their result slips and admission letters. No scanned/stapled passport photograph is allowed. 8. Candidates are to note that irrespective of their choice of course of study, they will also be tested on a general text: “In Dependence” by Sarah Ladipo Manyika for UTME and “The Last Days at Forcados High School” by A.H. Mohammed for Direct Entry Candidates. 9. Candidates/Officials would not be allowed to enter into the examination centre with wristwatch, Phone, electronic device, or any pen/biro. Only common pencil is allowed. 10. Candidates are warned that the Board does not require nor authorise the services of ANY cyber cafe or establishment other than the accredited CBT centres for this exercise. The unique cell (phone) number with associated profile code have been designed to put candidates in control of all communication in respect of registration and examination and prevent extortion by unscrupulous people. do not surrender the control of your application process and make yourself vulnerable to untoward practices. up grade your jamb result 2018 now , call 09035920163.